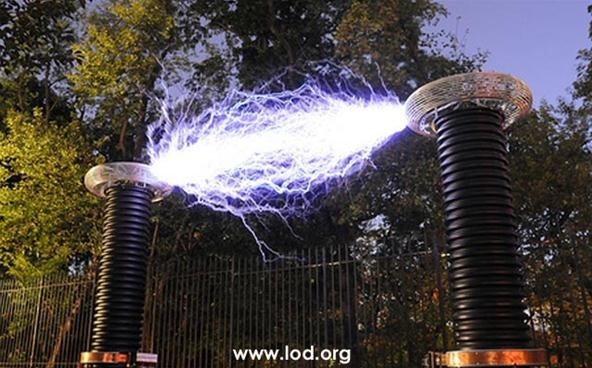 Electrical engineer Greg Leyh and company are currently creating a pair of 118-foot Tesla coils! The largest coil built to date is an 18-story tower constructed back in 1903 by Tesla himself, but Leyh has decided to not only recreate the huge coil, but double it in size. The project goes by the name of "Lightning on Demand" and is currently being constructed on an 81-acre plot in the Nevada desert. Once it's finished, the pair of coils will output 10 million volt acres 100 yards long—the size of a football field! More info about the project can be found here. I heard about this! Absolutely incredible, the power to drive those coils must be tremendous. I dare you to lick it.